Disclaimer: I received free entry to the DC Wonder Woman Run- Dallas as part of being a BibRave Pro. Learn more about becoming a BibRave Pro (ambassador), and check out BibRave.com to review find and write race reviews! Well I’m still injured! But that’s okay… I have two weeks until the DC Wonder Woman Run, and I’m feeling quite optimistic about the race in general. Since it’s “only” a 5k, in theory, there should be zero issues… I mean I could just walk it, right? Totes. But I am also doing another 5k the Saturday before, so it’ll be all about finding balance between the two races and truly listening to my body. 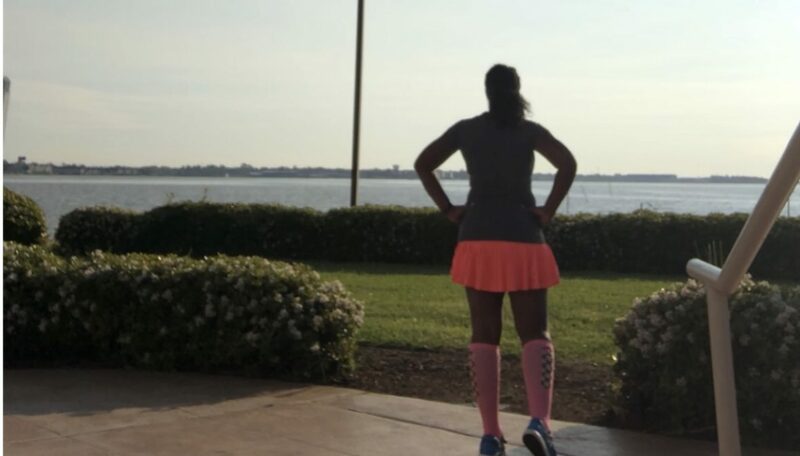 I do really enjoy this race in general because one, I love Wonder Woman, but I also really enjoy all of the different distance options they offer (Please note that not all races have the half option, Dallas in particular offers the 5k and 10k only). Races with multiple distance tiers make it accessible for anyone, and going all the way up to a half marathon will allow for a more serious runner a chance to log fun training miles with a great theme. With the exception of maybe a Disney race, I’m unaware of a truly fun themed race for half marathoners. Not to say that there aren’t any fun halfs… just a super hero themed one is slightly different. There are also several locations (even though I’m pretty sure Texas is the best one) for the race that you can check out here, and use the code WWBIBRAVE to save 10% off ANY of their races. Anyways, I’m just planning to keep moving forward, lots of spin to keep up endurance, and weights to strengthen those weak areas of mine that keep causing issues. As always, Happy Running Y’all!